The second wine of Vieux Telegraphe which is considered by many to be one of the regions most prestigious estates. 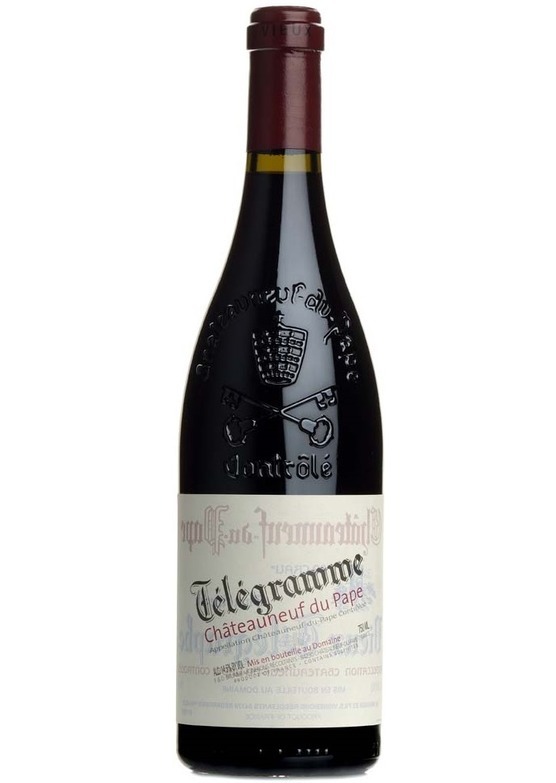 Telegramme is produced by the same hands as the Vieux Telegraphe but using fruit selected from the estates younger vines (still all over 20 years old!) the blend is typically 90% Grenache and 10% Mouvedre resulting in a wine which is more approachable in its youth than its big brother. Dried cherry and baked spices on the nose, medium bodied with dark cherry, red berry fruit and hints of spice and liquorice finishing with firm grippy tannins. Superb Chateauneuf du-Pape from this top producer.